The authors of The Reflux Diet Cookbook tested 30 various jars of baby foods, including fruit, vegetables, pasta, meat, and starches for added acids using pH measurements, and they were surprised to find many baby foods came in with a pH of 4 and under. The authors recommend that, “Babies generally be fed foods with a pH of greater than 5. Having more acidic food is sometimes okay, but not as part of a regular diet” because it may increase the susceptibility to acid reflux, and furthermore, acids are not a natural or healthy additive. Another point is that many foods, such as apples, are already highly acidic, so adding extra acids just doubles the problem. Some of the foods tested that were more acidic than necessary due to added acids included: Earth’s Best Organic First Apples; Gerber Green Beans; Beech Nut Rice Cereal and Apples with Cinnamon; Earth’s Best Organic Pears & Mangos; Beech Nut Pears & Raspberries; Gerber Apple Blueberry and more. 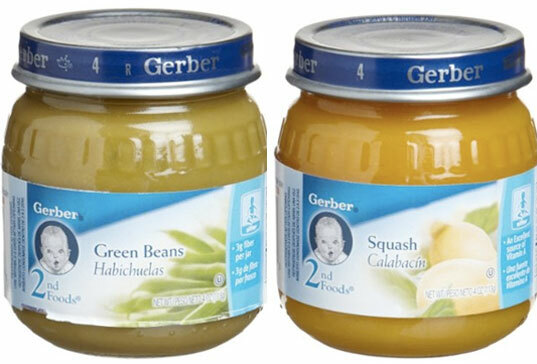 See a complete list of all baby food tested (pdf). As a parent, the best thing you can do is breastfeed your baby exclusively for his first months of life. The World Health Organization recommends six months of exclusive breastfeeding or exclusive breast milk for optimal health. The American Academy of Pediatrics recommends exclusive breastfeeding for a minimum of four months but preferably for six months. If you choose formula for the first four months, make sure you choose eco-friendly baby bottles with anti-colic systems and a healthy green and organic formula. 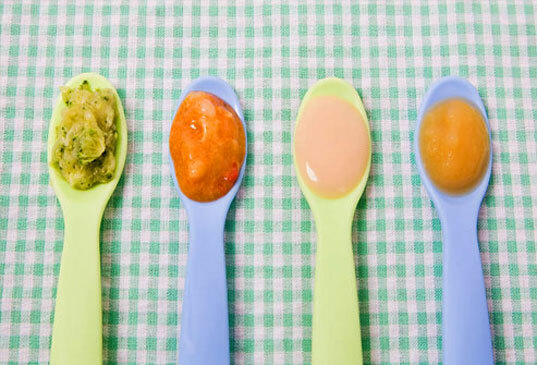 Once your baby starts solids, read your labels. 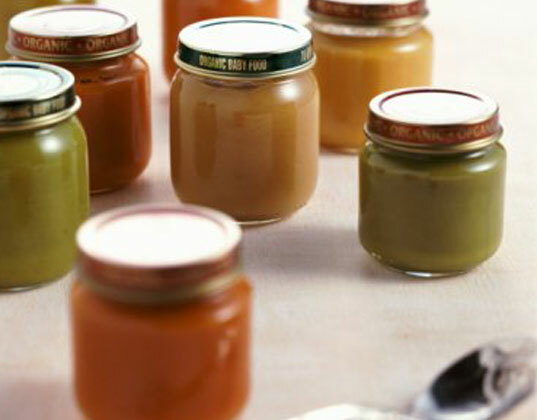 Choose organic baby food without added acids or know exactly what you’re feeding your baby by making your own homemade organic baby food. Infant acid reflux makes life miserable for babies, which in turn makes for very miserable parents. Infant acid reflux, (gastroesophageal reflux), is a common problem that can be made worse by food types and how you feed your baby (i.e. at a tilt vs. straight up). According to the National Digestive Diseases Information Clearinghouse, more than half of all babies experience infant acid reflux during their first year of life. Symptoms of infant acid reflux may include spitting up, irritability during or after feedings and poor feeding habits. Infant acid reflux can also lead to poor growth or breathing problems and research indicates that babies who frequently experience reflux may be more likely to develop more serious reflux diseases during later childhood. UlrikeDG, I couldn't agree more! We've done Baby Led Solids (aka Baby Led Weaning) with my daughter since she was 6 months old. She's exclusively breastfed and at 6 months old we began offering her age-appropriate foods from our plates. Now, at 13 months she's quite an adventurous eater and we are not serving her separate, "kids meals." Friends and family are amazed that she loves mushrooms and asparagus. I guess those are not "typical" veggies for babies or kids to eat or like, but they're two of her favorites! Skipping purees was healthy and budget-friendly...I don't know why more parents don't do it.